BlackBerry soldiering on for now, but how long can it survive? BlackBerry recently refused offers to sell off various chunks of the company to interested parties like Microsoft, Google, Lenovo and Apple. This is the first time Apple has been mentioned in connection with the now-off BlackBerry sale. This is according to Reuters which reported the stricken Canadian firm believed that breaking up the company and flogging off bits and bobs would have been detrimental to the interests of customers and shareholders. Apple and Microsoft were apparently interested in acquiring a substantial patent stash, but BlackBerry spared its remaining loyal supporters the pain of seeing their beloved company fall into enemy hands. The other two tech companies sniffing around BlackBerry's still-twitching carcass were Cisco and Lenovo, according to the report, with the latter long thought to be interested in a takeover bid. 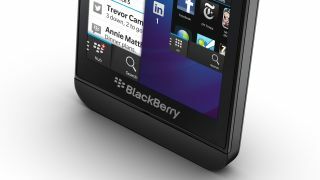 BlackBerry's immediate future was cast into yet more doubt earlier this week it announced it would abandon pursuing takeover, which would have taken the company private once again. Instead it secured $1 billion (about £625m, AU$1.06) in funding from Fairfax Financial - which had led the consortium planning to take full control in the first place - among other investors. The Waterloo-based company let CEO Thorsten Heins go too, replacing him for the time being with John Chen. Chen's first act in the big chair was a vow that BlackBerry will continue making smartphones. The rise and fall of BlackBerry in 11 moments. It was the best of times, soon followed by the worst of times.